Bot. PMID: 29432546 DOI: 10.1093/jxb/ery043. Interact. PMID: 28840787. DOI: 10.1094/MPMI-07-17-0183-FI. Epub 2017 Oct 12. 3. Ray S, Basu S, Rivera-Vega LJ, Acevedo FE, Louis J, Felton GW, Luthe DS. (2016). communication in maize contributes to defense against insects. Plant Signal Behav. sucking corn leaf aphid. Plant Physiol. 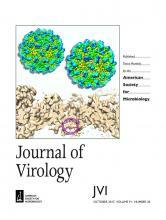 PMID: 26253737 DOI: 10.1104/pp.15.00958. resistance in Nicotiana benthamiana to chilli-infecting begomoviruses. Plant Cell Rep.
begomoviruses. Virus Genes. PMID: 24384936 DOI: 10.1007/s11262-013-1031-y. 11. Basu S, Pereira AE, Pinheiro DH, Wang H, Siegfried BD, Louis J, Vélez AM. communication in Insect Biochemistry and Molecular Biology). Arabidopsis against the chewing herbivore Cabbage loppers (In preparation). RNA silencing in plant: biogenesis, host-virus interaction and potential applications.